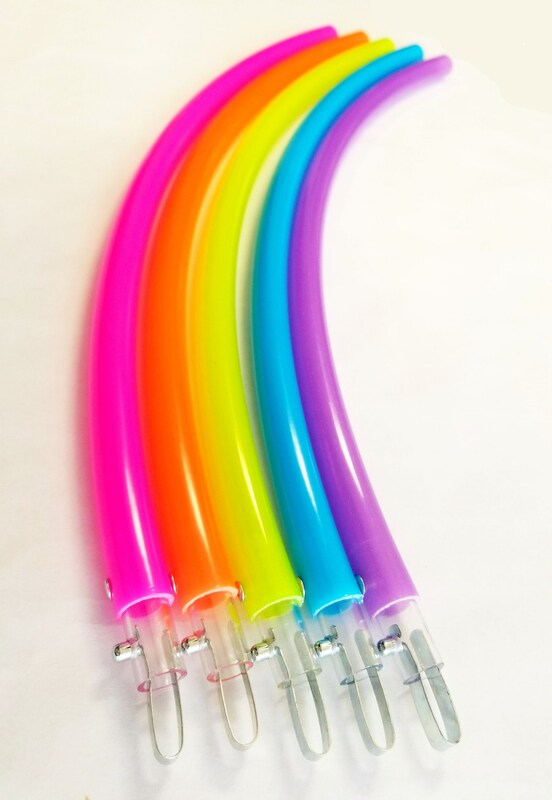 Custom made to order UV High Gloss Radioactive Polypro Tubing 5 piece hula hoop. You pick the size tubing, you pick the outside diameter. This hoop is made with Radioactive Lip Gloss Pink, Radioactive Orange, Radioactive Highlighter Yellow, Radio Active blue and Purple Stardust. 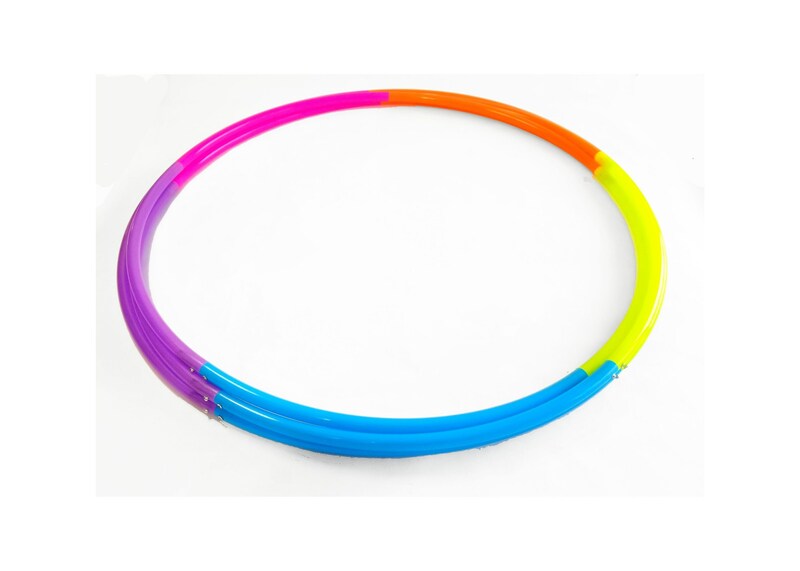 High Gloss Polypro is a light weight plastic that is super reactive to touch making this the perfect hoop for fast light weight trick hooping . This tubing is super bright and shinny. Push pin look makes this hoop easy to coil down for travel. Selecting Twin in the drop down menu means two hoops the same size. ♥ Each Section has own push pin and rivet. ♥ Choice of bare, sanded or full sand. 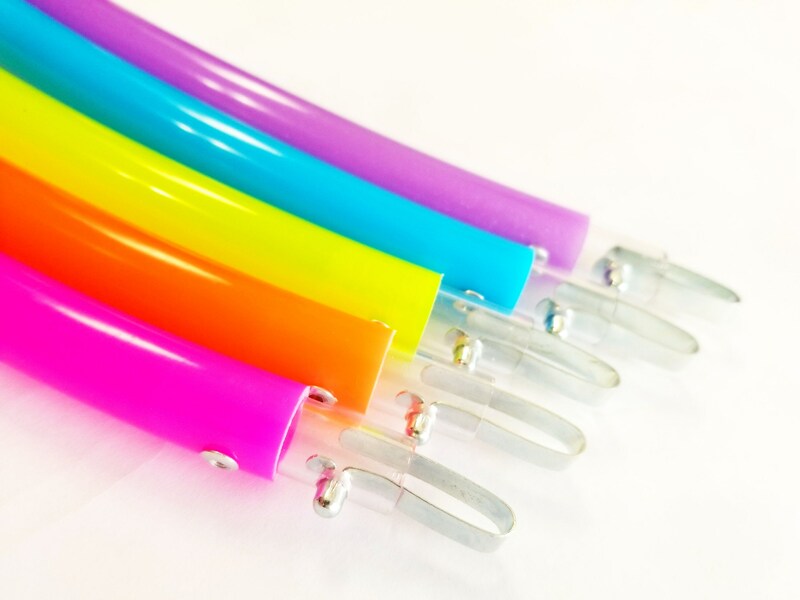 ♥ Polycarbonate connection for durability.